Select Size LG 7.5" XL 9" XL 10" XL 12"
These heavy duty combs are very light-weight...but strong. The smooth rounded teeth penetrates the thickest of coats. Also perfect for fluffing. 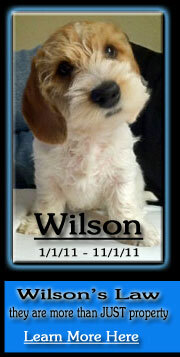 A must for every dog show tack bag. 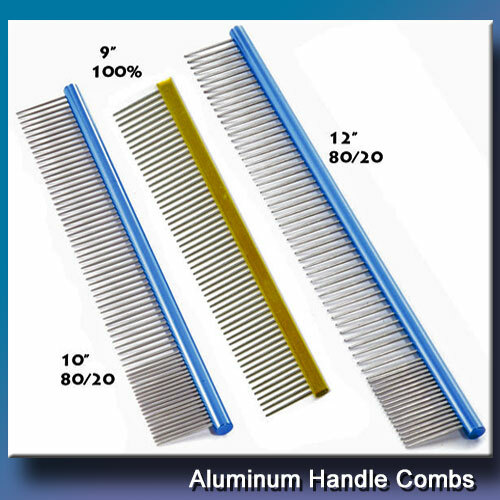 10" and 12" Combs feature 10mm Blue Annodized Aluminum round back. 80% Course / 20% Fine. 9" Comb features Gold Aluminum flat spine. 100% Course. 7.5" Comb features Purple or Blue Flat Spine. 50% Course / 50% Fine.